One of my favorite thematic units to teach is INSECTS! Does anyone else feel the same?! Now, many of you may be scoffing at the word “thematic”, but don’t let that word fool you. I don’t mean thematic in the sense of arts and crafts and fluff and stuff. I mean thematic in the sense of cross-curricular learning. Now that we have that out of the way, let’s chat about insects. This is the perfect time of the year to learn about these little creatures. As the weather changes and gives way to the emergence of bugs EVERYWHERE, our cross-curricular learning comes to life! To make our cross-curricular unit of learning meaningful and effective, we incorporate a TON of tier 2 vocabulary words and activities. Did you know that research suggests kids need at least 6-12 exposures…not just surface, but deep…to words to make them part of their working vocabulary?! FASCINATING! Vocabulary is SO important and it helps to drive much of the instruction in our classroom. I personally love writing the word on an index card and illustrating the word so that we have a visual anchor. 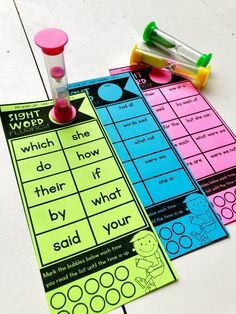 This is also a powerful activity to incorporate for students as well. It’s amazing to see how our kids visualize and process different words and word meanings. Keep those vocabulary cards displayed throughout your week (s) of learning. To tie it all up, at the very end of our unit we usually add these vocabulary words and a visual to our vocabulary notebooks. This is after I’ve given students many different exposures to the words through activities, discussions, word work , etc. I’m often asked where I get the words I decide to use for vocabulary instruction. These words typically come from read alouds I’ve selected prior to our thematic week(s) of learning. Again, these are Tier 2 words. Here are some of my most favorite insect themed non-fiction and fiction read alouds to incorporate during shared and small group reading. BUGS GALORE / IN THE TALL, TALL GRASS / BUGS! BUGS! BUGS! I always love reading non-fiction books prior to new learning. In addition to non-fiction read alouds, we create several different anchor charts to create visual resources the kids can refer back to as they learn and process new information. This visual can/have/are chart is great to incorporate after a couple of different non-fiction read alouds. The students contribute their thinking to each column. Of course, songs and poetry are ALWAYS a must 🙂 Especially in K-1. 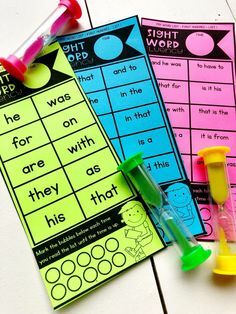 This is another way I incorporate key vocabulary words into instruction as well. Targeting those exposures through repeated rhymes and music…coupled with hand motions and movements…always helps learning to become more concrete and information easily processed and retrieved. Of course, I absolutely LOVE science and incorporating these themese into our science/STEM instruction. These topics beautifully lend themselves to targeting a variety of science standards and objectives. 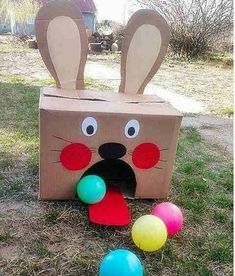 THe idea is not to think outside the box, but throw the box away altogether 🙂 SO much can be incorporated and covered in a small amount of time. From learning scientific facts and information about insects (that we tie into ELA & Math standards as well)…. …to investigating and exploring them to learn more about them! We focus on several different insects specifically during our unit of learning. Since we covered spiders back in October/Fall, I’ll typically pull out those anchor charts and prompt students to recall their learning. While we do a general study of insects, we also focus specifically on ants, bees, butterflies and ladybugs. Come back tomorrow and we’ll talk all about bees and ants…and while you’re here, you can pick up a few freebies for your classroom, too!